It's Fall and that means falling leaves and dropping temps. Time to refocus our wardrobes for the season. Tights and trouser socks are part of that cold weather repertoire for most of us and Berkshire has new , fab styles for Fall/Winter 2018 to keep legs covered and warm while also looking stylish. Trouser socks and anklets are more my go tos , especially anklets. They've gotten harder to find so I'm thrilled that not only does the brand have them but has them in new Comfort Cuff Cozy Hose, a thicker , brushed fleecy feeling inside version that adds extra warmth and softness. Cozy Hose also comes in full length socks along with tights . I'm telling you, you need these. Comfort Cuff m by the way , is a wide , forgiving elastic cuff . 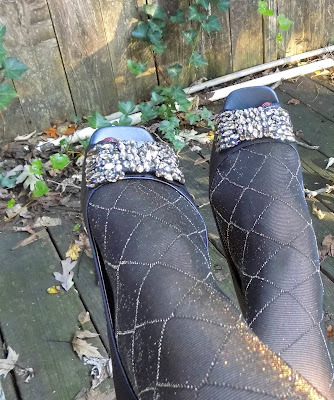 Patterns are a fav too, and anyone who knows me , knows I love some sparkle, The Diamond Gold Lurex trouser socks have just enough shimmer to not be boring but also not OTT. The cable knit is a nice thick sock with a collegiate wintry look that's great with shoes and boots. Also new is a gold lurex Glittery Cuff anklet. These can be seen or hidden depend on what you wear with them and add a fun , festive touch. 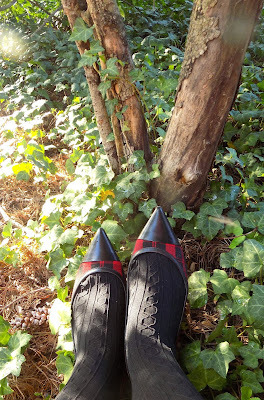 There are several other patterns as well across all the types of hosiery Berkshire has. It's also always worth noting that all their hosiery is Made in USA and well priced in a large variety of sizes including curvy. You can find them at www.eberkshire.com , Macys , Bare Necessities and many other stores. 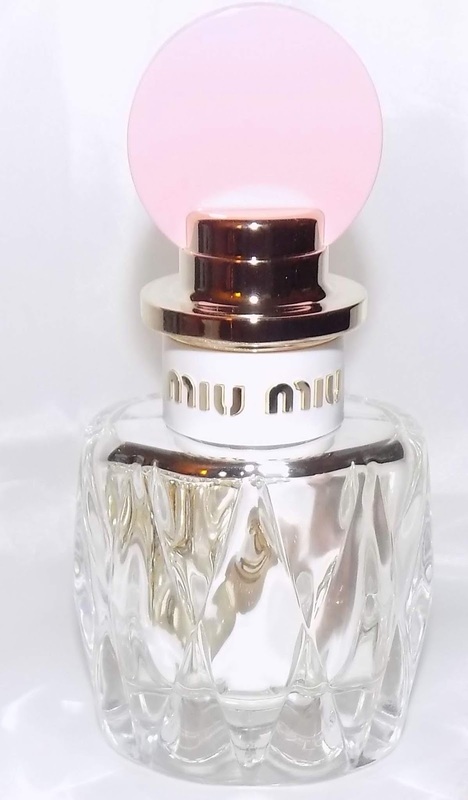 Fall brings lots of new fragrance releases including a new Miu Miu edition - Fleur D'Argent. Fleur D'Argent is musky and dewy with orange blossom and tuberose. Jasmine is in there as well for a nice white floral mix and then the woods and musk come in mid way including the line's signature note- akigalawood- which references patchouli and oud ( it's mostly patchouli here). 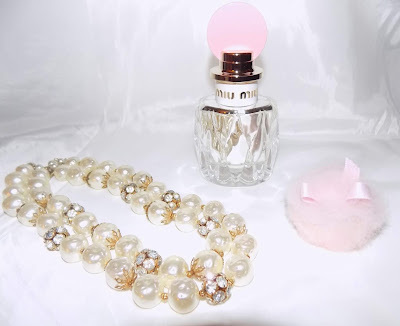 I am a big fan of their last two Miu Miu editions- L'eau Rosee and L' Eau Bleue and wear them often. Both were different from the original which I didn't like as much and this is different from all of them again. Here the tuberose and orange blossom stay well into the drydown, they are very soft though, as is the fragrance itself overall. This stays close to the skin and has light sillage but the tuberose, especially , makes for a pretty floral fragrance. I need to talk the bottle here too. Miu Miu always has a nice one, but Fleur D'Argent comes in a mercury glass like version . I love antiques and I love mercury glass so this bottle hits it out the park for me. It's a beauty sitting on the vanity or shelf. Miu Miu Fleur D'Argent Perfume is $ 99 at Sephora. Natalie Wood still has presence and gravitatas , and is well deserving of the term icon. In her honor her daughters Courtney and Natasha created Natalie perfume, inspired by the gardenia fragrances she loved and wore. Jungle Gardenia was her signature scent and the smell of gardenias was a strong scent memory for her daughters. Now there is Natalie La Rose. Wood loved to garden and filled her house with roses throughout the girls childhood. 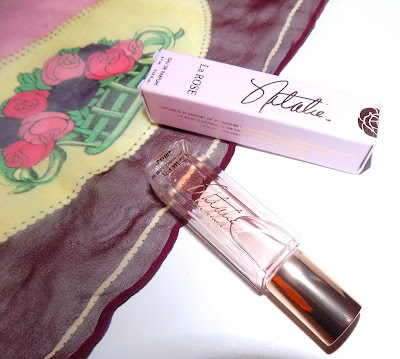 This is a beautiful straightforward rose fragrance. I may be little biased as I love rose fragrances , but it is lovely. The rose here is big but soft , fresh picked and full bodied . Not overpowering, not old fashioned and using essential oils. Other notes mentioned also include geranium and heliotrope but I detect very little. Concentrated at 18% this has lots of sillage , strength and presence. All good things in my (fragrance) book. It's also a nice deal . 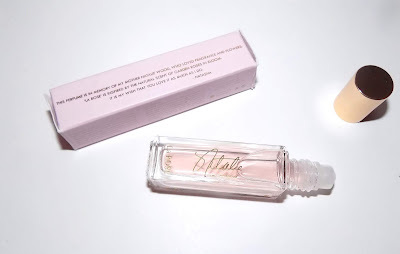 The perfume comes in a .25 oz rollerball for $ 25. A nice size to try and also to keep tucked easily in a bag for touch ups and travel. I think most of us would say we are stressed. Big things weigh us down with worry, I know it does me. We just have to keep our chins up and move forward and not sweat the small stuff. At least that's what I try to do. Stress takes a toll on us , that we know both inside and out. It releases more cortisol and hormones. Our skin can be damaged by stress and it can show. Who has ever said after a crying jag, wow I look good right now ? 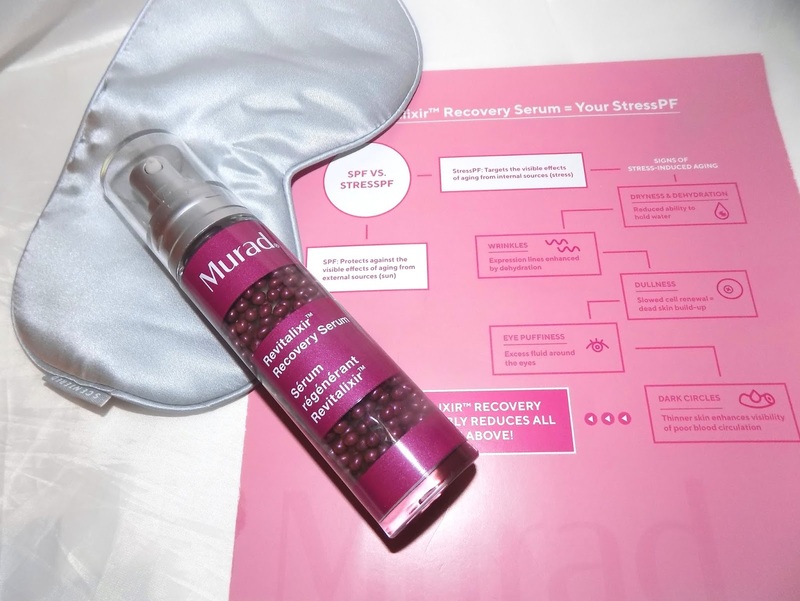 Murad, makers of some great skincare, have a new serum to address stressed skin. New Revitalixir Recovery Serum is a lightweight and is for both face AND eyes. Multitasking skincare? I like that. 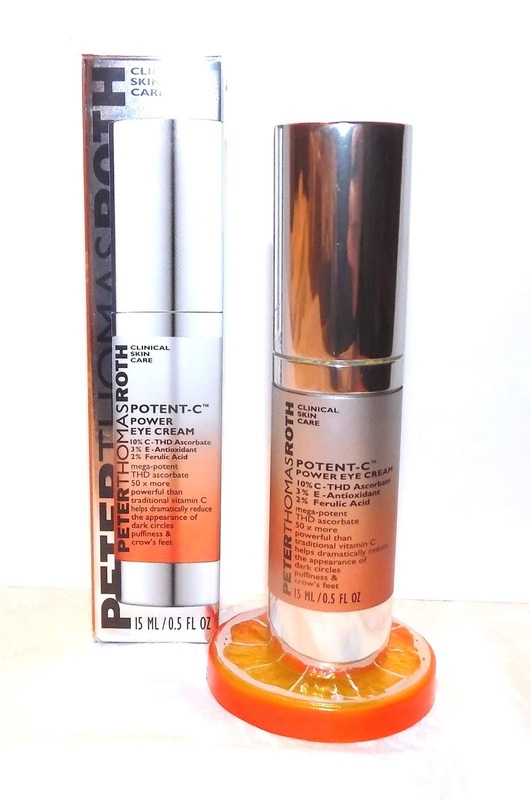 The serum has oil based spheres suspended in a water based gel. It uses caffeine, wild indigo , niacinanide, neuropeptides , paracress cannabis ( hemp seed oil), apricot kernal seed oil and hyaluronic acid to soothe weary skin and is said to work on expression lines, dehydration and dullness and dark circles. This is nicely moisturizing but not heavy. It feels light on and sinks in quickly. For my skin it's enough on it's own right now. I'm combo and don't need a lot of moisture. I need some, and this is just enough. Anyone dry, might need a cream to layer over it . I've found it's kept my skin well hydrated, soothed and looking healthy and brightened. There is a light grape/wine like fragrance that I like. It's not strong but there. 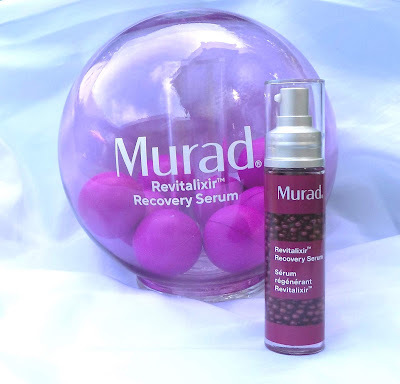 Murad Revitalixir Recovery Serum is $ 89 at www.murad.com , sephora and more. 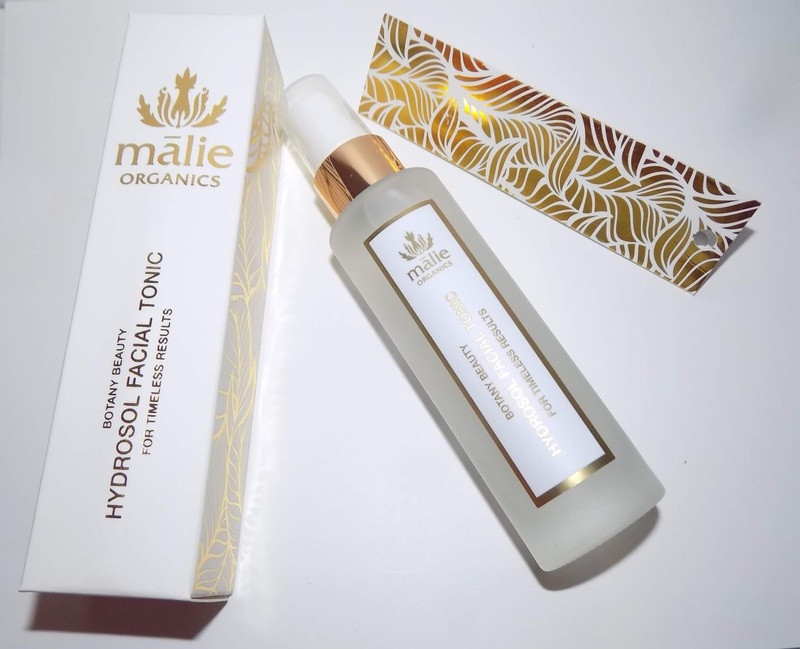 Kauai, Hawaii based Malie Organics uses organic and plant based ingredients including essential oils and botanicals for natural effective , fragrance free skincare . I've been testing some out and am coming away impressed. The Illuminating Moisturizer is a nice lightweight choice for day . With aloe vera juice, coconut oil , apricot kernal oil and and pineapple and papaya extracts , it adds enough of a moisture boost to my combo skin and helps keep skin more matte over the day. It also adds radiance , something we all need in the AM. You can see a little mica like particles in the bottle but once rubbed in , they are barely there. You don't see any shimmer or shine but skin looks brighter. The fruit extracts will help to brighten skin over time also. I'll say too, that I love that the line comes in glass containers. Yes they are easier to break , but glass is just nicer , more upscale and well better than plastic in my opinion. Ok it lets light in true enough , but these bottles are semi opaque . Malie Organics has a full skin care line including my picks and you can find it all at www.malie.com . 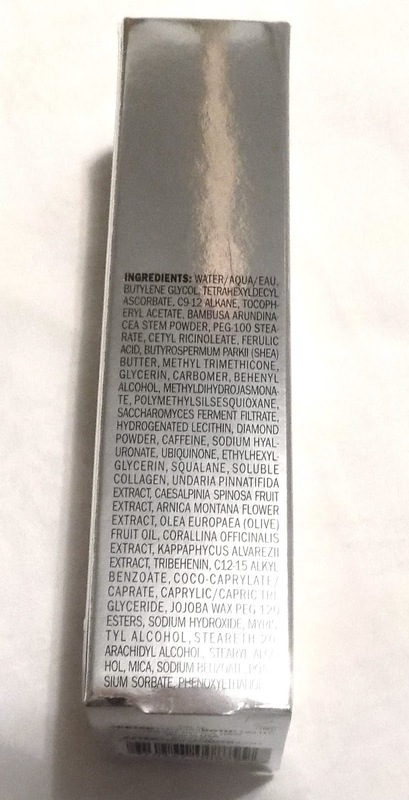 They don't use petroleum, mineral spirits, sulfates or parabens or ever test on animals or use animal products. I am a big fan of Peter Thomas Roth's serum and face creams. 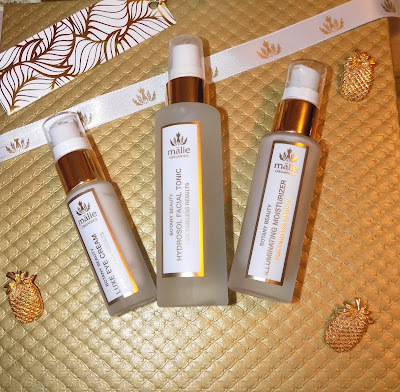 Their Camu Camu Power C line and Potent C Power Serum have been fabulous for my skin. This Summer Potent C Power Eye Cream came on board. This mid weight cream packs 10 % C THD Ascorbate ( a stable vitamin c that's 50 times more powerful than traditonal C acc to the brand) for max brightening power along with 3% vitamin E and 2% Ferulic Acid, caffeine shea butter, olive fruit oil and hyaluronic acid . 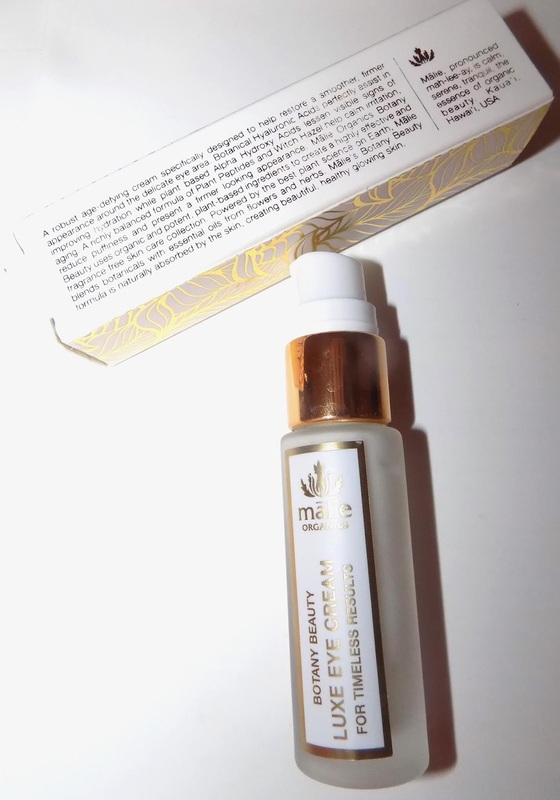 The eye cream gives you medium moisture, a little firming /tightening and feels lightweight on . 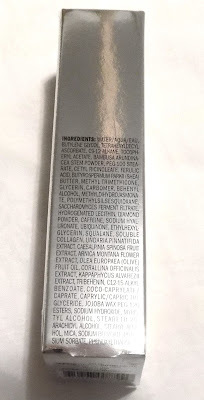 I do feel my undereye is well hydrated with this as well as keeping it brighter. Thankfully I don't have much in the way of dark circles so I can't speak to that but I do feel as though I've had some brightening along with a bit more firmed up , toned skin. I'll take it. Since it isn't a heavy moisturizer this is great for daytime under makeup and at night and will transition nicely into Fall skincare. 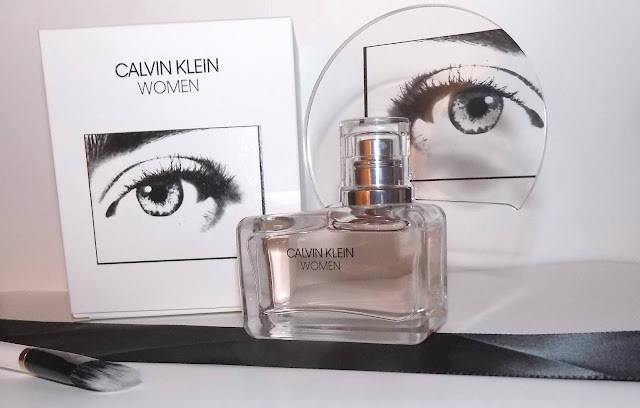 Calvin Klein Women is the newest CK pillar fragrance in awhile and the first under their new designer Raf Simons. It's a woodsy floral with main notes of eucalyptus, black pepper, cedarwood , magnolia, jasmine and ambroxan. It's herbal and soapy clean to my nose with the eucalyptus and ambroxan coming on strong with only a light hint of the florals and a burst of black pepper spice. 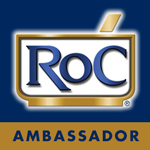 It's a fairly quiet , easy to wear scent but you must like ambroxan or it won't be your cup of tea. 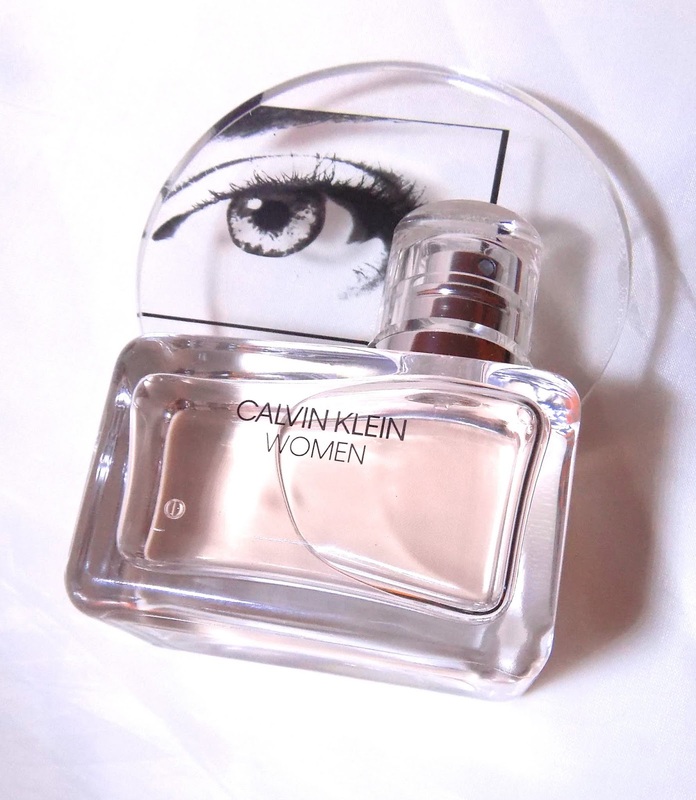 Despite the name Women this is a very unisex fragrance . It's got medium sillage and lasting power. The bottle cap here is very unique . It's plexiglass like and not super sturdy but has a sense of whimsy and I do really like the eye illusration.